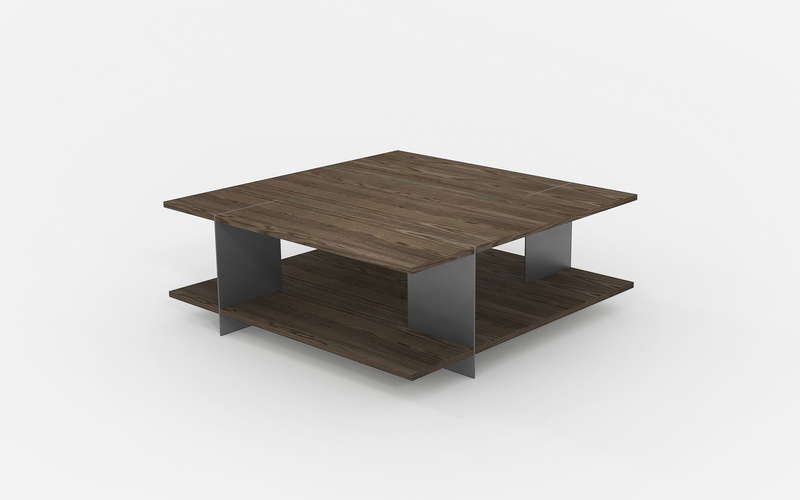 The KS15 coffee table catches your attention thanks to the unusual symmetry and combination of two materials, which is the first-class veneer and connecting metal parts. 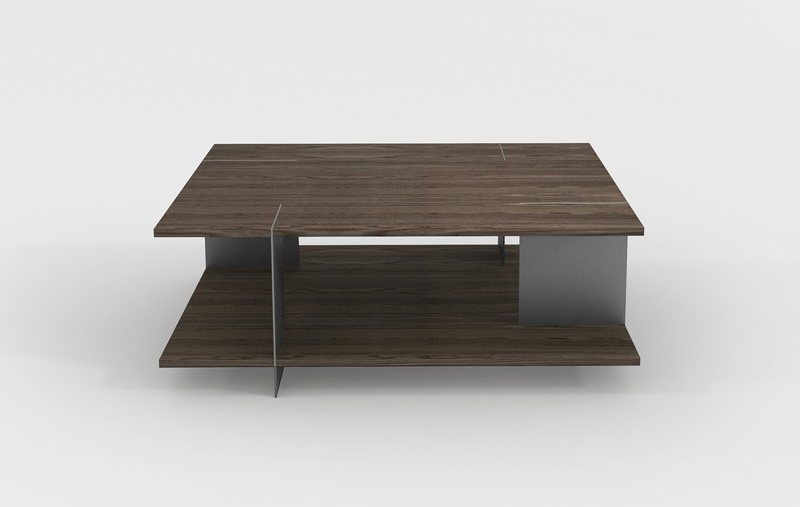 This table is also avaliable in other colours and materials. The selected structured veneer highlights on this type of coffee table. More information on our studios. We offer you more than 1,500 types of door designs and endless combinations of materials and colours for all pieces of furniture in five categories: veneer, varnish, laminate, glass and foil with the option of surface design in gloss or matt. Get inspired and have a look at some of them. Various designs for specific types of furniture are available at our designers. HANÁK PREMIUM seven-layer varnish is a synonym for genuine quality, resistance and exclusivity. It lasts for dozens of years and is scratch resistant. Possible designs regarding a specific type of furniture are available at our designers. The most popular shape of a table top is a rectangle or square. If you have a large space you can have a round or oval table, which is usually larger and therefore takes up more space. According to the ergonomic rules the minimum width of a place by the table for one person is 45 cm, but 60 cm provide more comfort. A dining table can be situated independently or it can be connected to the kitchen cabinets or to the living room. The table dimensions are based on the average size of the human body as well as on the space needed for dining. The more people the larger table you need. Tables with round or oval tops are very popular thanks to the equal arrangement of all diners. On the other hand, they require more space. The dimensions of coffee tables are not fixed. Height is the most important parameter and should correspond to the height of seating. The trend now is for lower seating. Coffee tables are available in various surface designs, but they should always fit in with the interior. 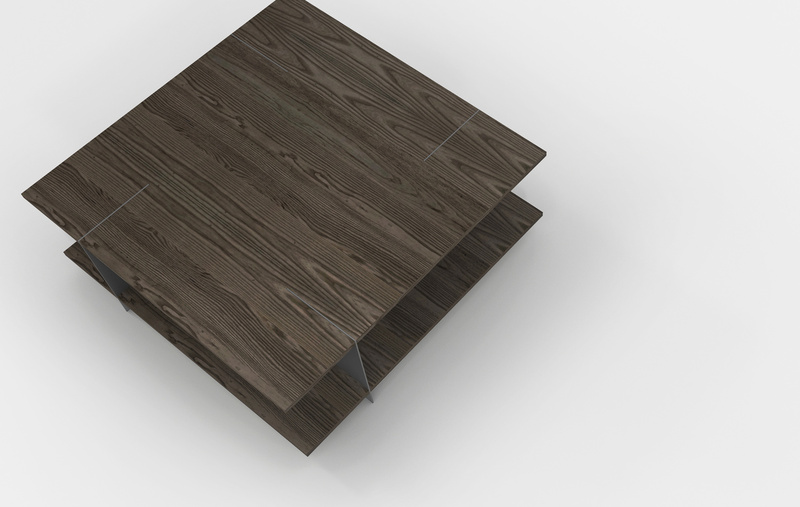 Our portfolio also includes practical coffee tables, which can help resolve a lack of storage space. Come and visit our professional network of kitchen studios HANÁK. Quality is not just a presentation and certificates, but is mainly about the technologies, materials, fair trade and cutting-edge manufacturing facilities. Be interested in the actual quality of the product and the declared parameters. We are professionals in our field. You will meet only with trained planners, architects and designers, who will give you always only good advice. Visualization and price offers are prepared well and quickly. Do you need advice? Visit our studio, we will create the best ergonomic and aesthetic design of the interior for you.